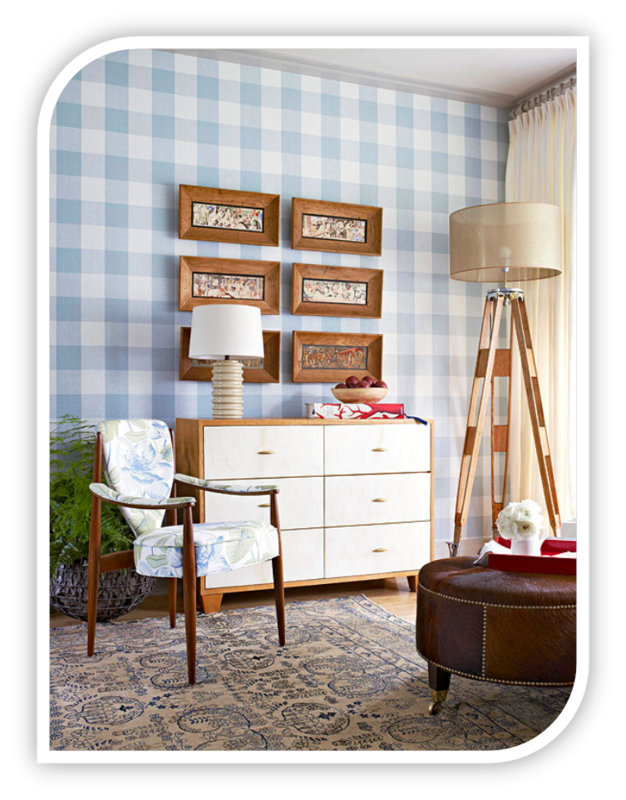 Light layers should be placed to bounce illumination throughout a room and eliminate shadows from corners. 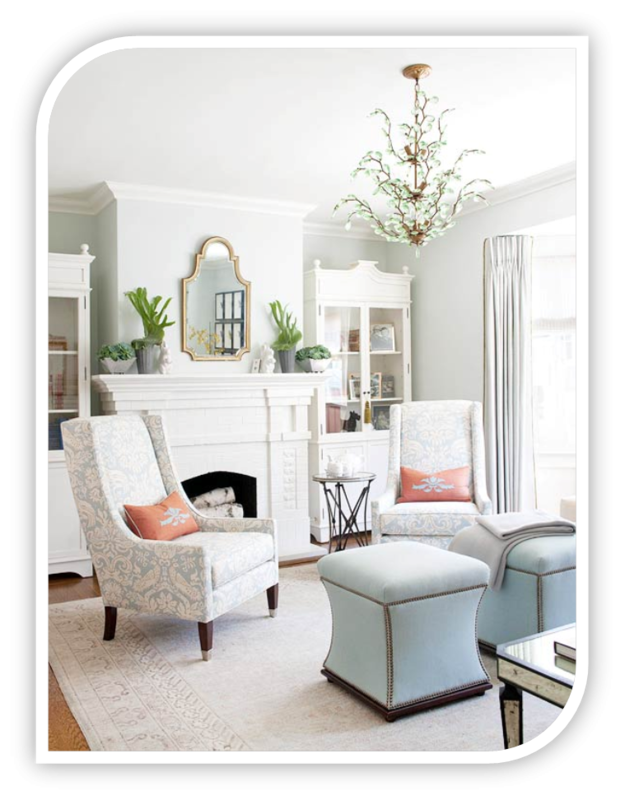 In this living room, a burnished metal chandelier supplies overall light and visual interest. 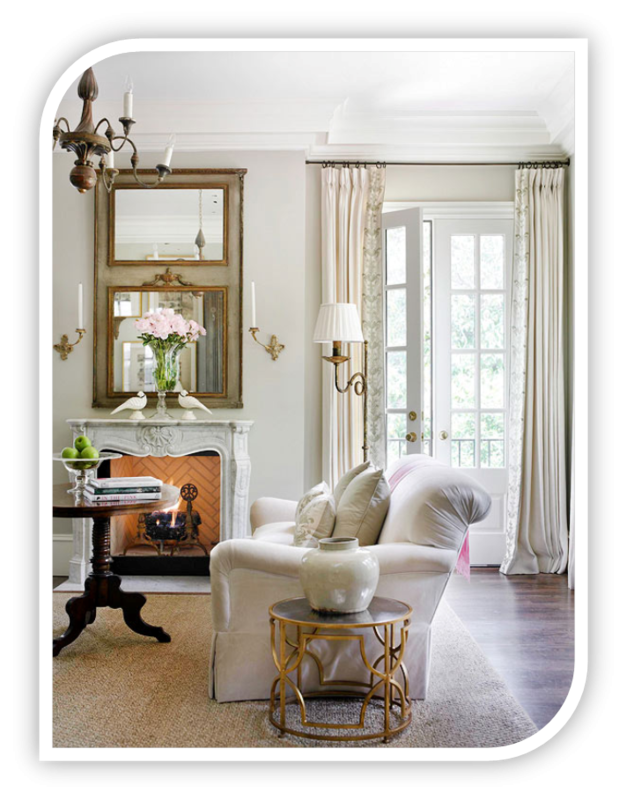 Twin sconces supply soft accent lighting and define the area around the fireplace and mirror. A scrolling floor lamp offers task lighting for the seating area. 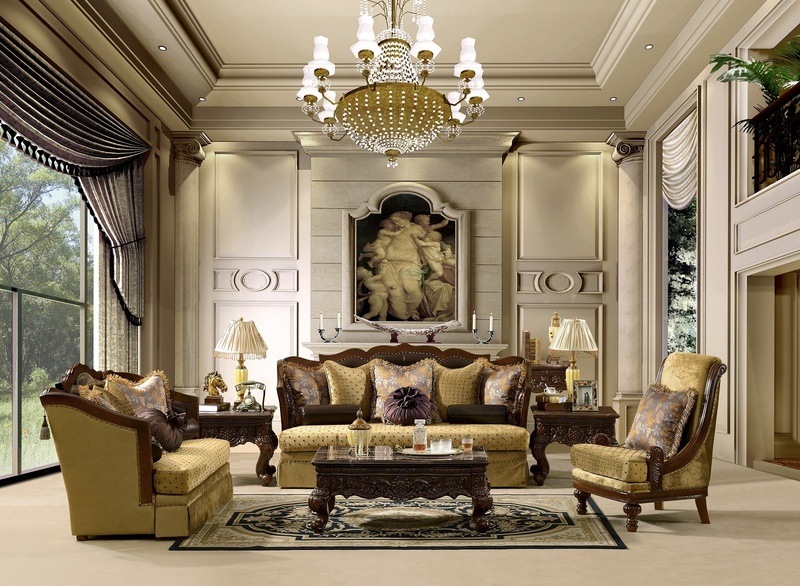 The most classic of all living room lighting fixtures is the chandelier. Generally positioned in the centre of the room directly over the main seating area, these elaborate lighting fixtures are at once the room’s main source of illumination and works of art. Their sculptural shapes fill the void between the ceiling and the living space, and their twinkling, often candle-shape bulbs provide a multipoint illumination that softens shadows and makes the room’s highlights sparkle. 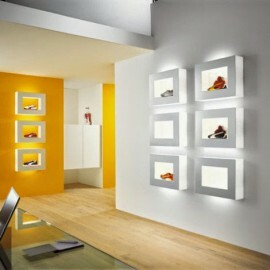 Sconces are lighting fixtures that attach to the wall rather than the ceiling. They might be equipped with shades or with glass diffusers to soften their light, as they’re often installed at or near eye level. 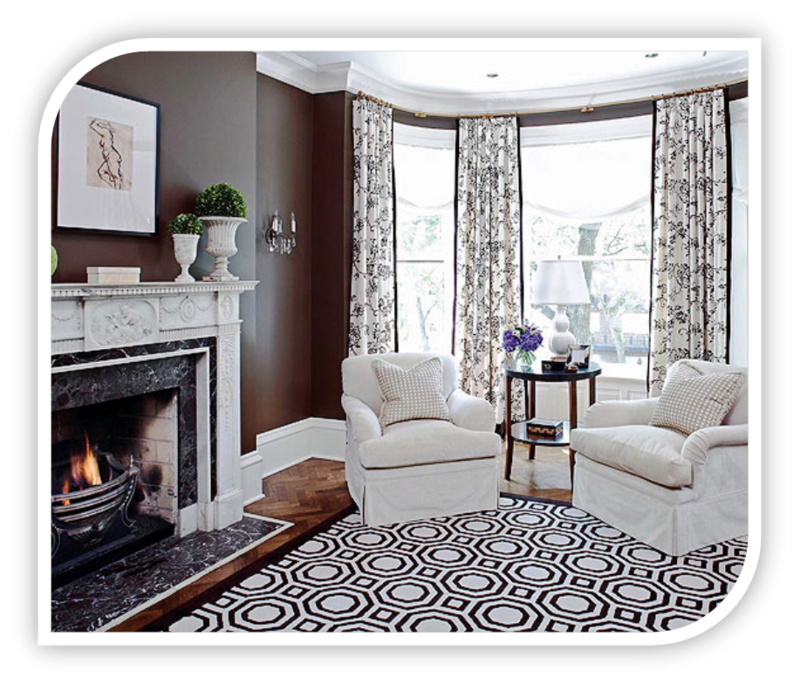 In living rooms sconces are often installed in pairs, typically over the mantelpiece or on both sides of the fireplace. There they help define the room’s focal point, and provide accent lighting that complements firelight when a low light level is appropriate, such as hosting after-dinner gatherings. Not all light fixtures are designed primarily for illumination. These chandelier-style sconces, for example, are accentlighting primarily designed to add shape, texture, and contrast to walls. 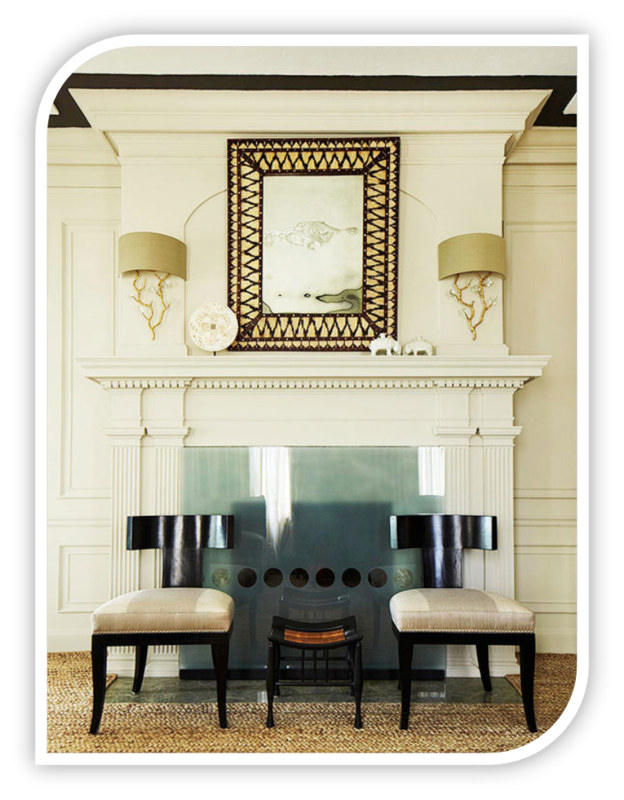 Most sconces are symmetrically placed, flanking a focal point such as a fireplace or large mirror. For lots of light from an unobtrusive source — such as the illumination needed in this living room– it’s hard to beat recessed iighting. 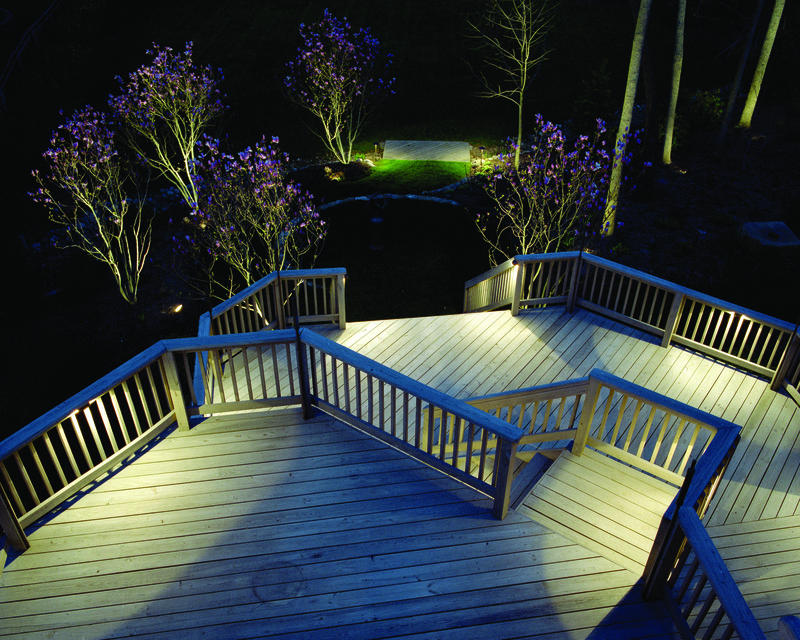 With illumination provided by halogen, incandescent, or compact florescent bulbs, recessed can lights allow you to position a focused, downward-facing beam exactly where you need it. 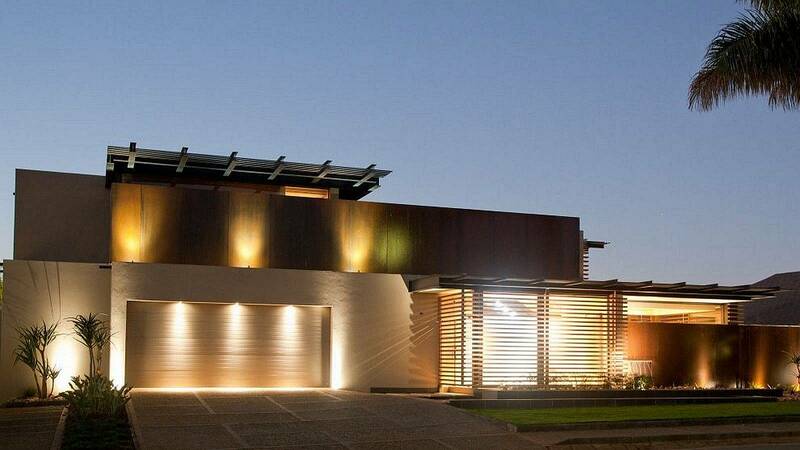 You can also overlap beams for overall lighting from a virtually invisible source. 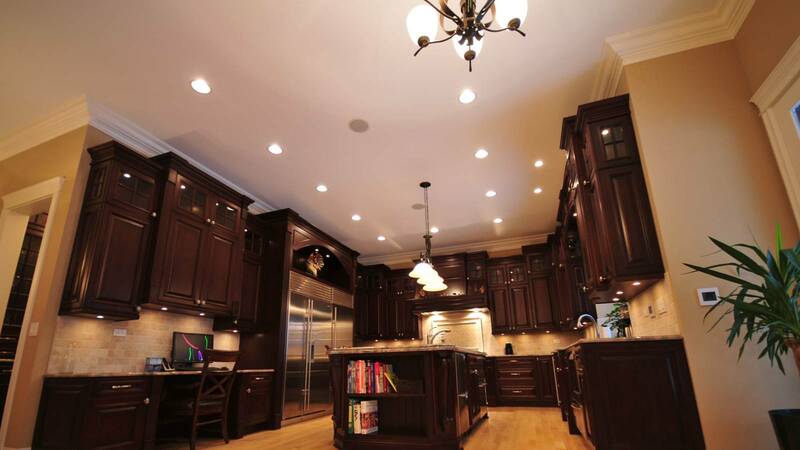 Dimmers and separate switches for various light banks allow you to change the character and emphasis of a room’s illumination. There’s nothing like firelight to connote cosiness and romance, and this living room makes the most of it; in addition to the blazing hearth, candles amassed on a tray suspended from the ceiling add a cheerful glow. 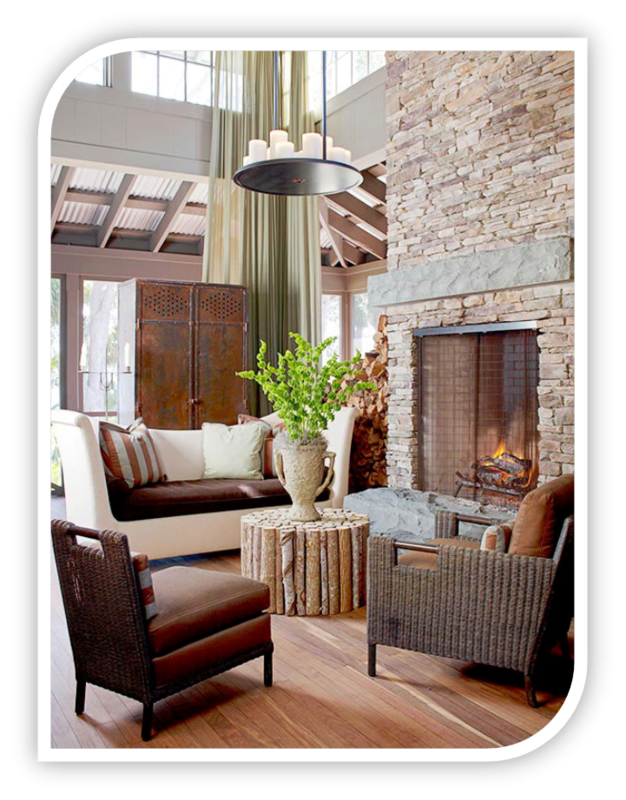 The room’s rustic furnishings and exposed beams complement the firelight’s nostalgic feel. Floor lamps come in many styles; are portable, allowing for flexibility in use; and cast light up, down, and out simultaneously, producing an even light that minimizes harsh shadows. 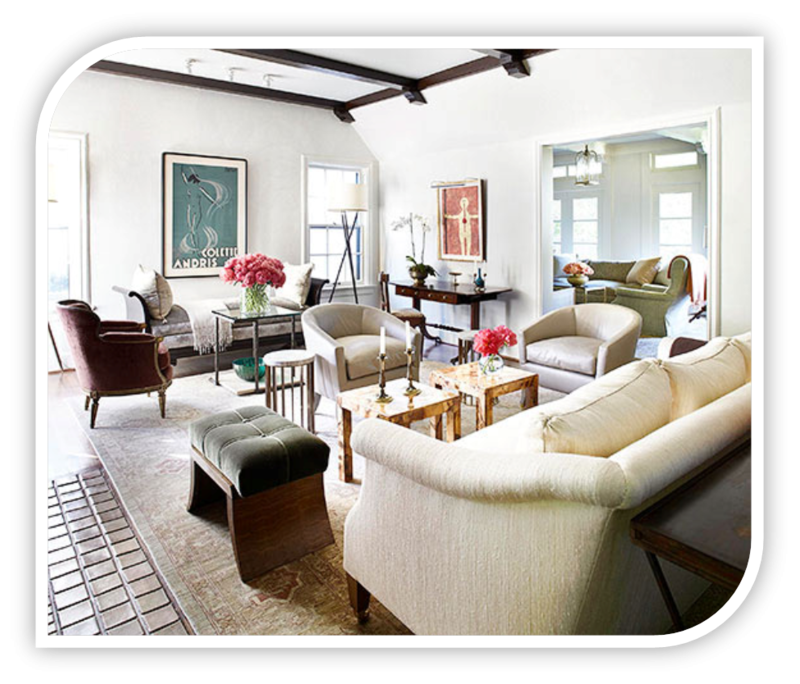 Floor lamps create interest at eye level, and their availability in many materials and designs means they fit any style of decor. Not to be confused with “fanlights” — fan-shape windows, typically located above the entry doors on many Federal-style houses — fan lights refer to lighting fixtures attached to ceiling fans. These latter-day fan lights come in many varieties. 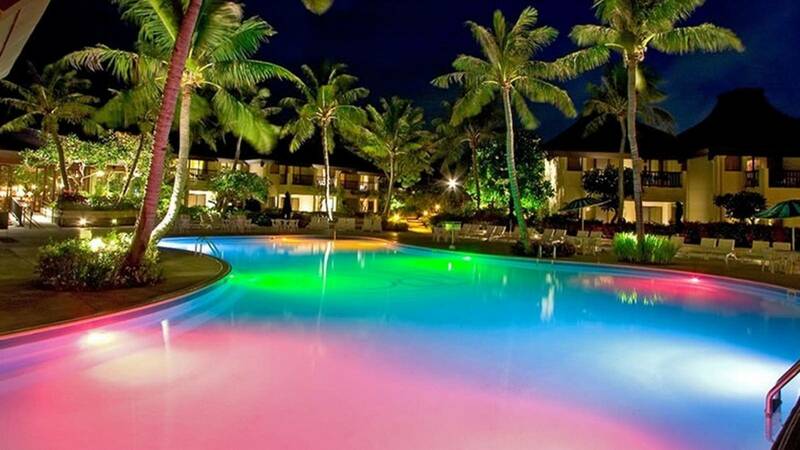 They include multiple lamps on three or more arms extending from the bottom of the fan, or even contemporary-style mini spotlights that can be selectively aimed similar to track lighting. Tip: Special bulbs rated for fan light use are recommended, as these are resistant to the vibration caused by the fan something that can cause regular bulbs to fail prematurely. 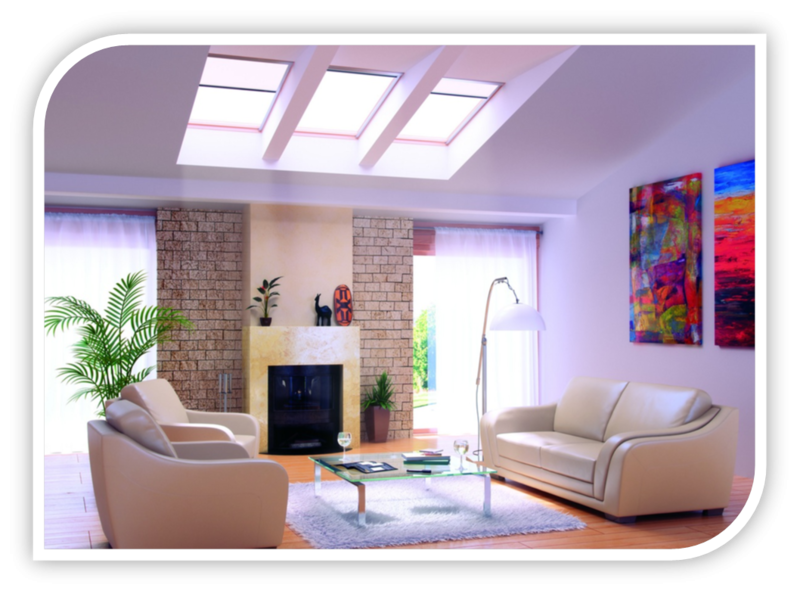 Skylights are a dramatic way to bring daylight into a living room, and they are especially effective at adding sunshine to areas that window light can’t reach. Because they face upward, skylights bring in a great deal of light for their size. Consider a tubular skylight to bring light into a room in an area without much ceiling space. These fixtures pipe daylight in from a collector on the roof to a diffuser in the room’s ceiling, without the expense of building a finished skylight well. 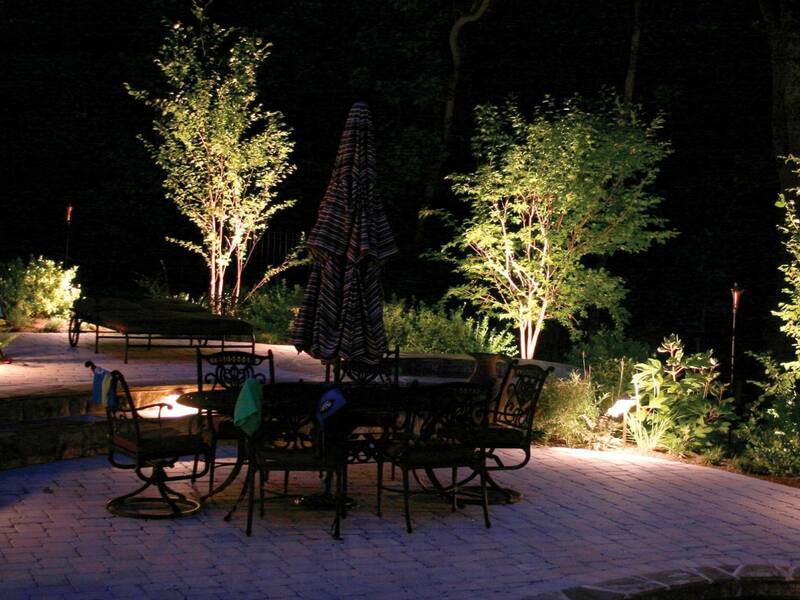 Versatile track lighting has many virtues: It can act as a down light, a flood light, a spotlight, and an accent light. 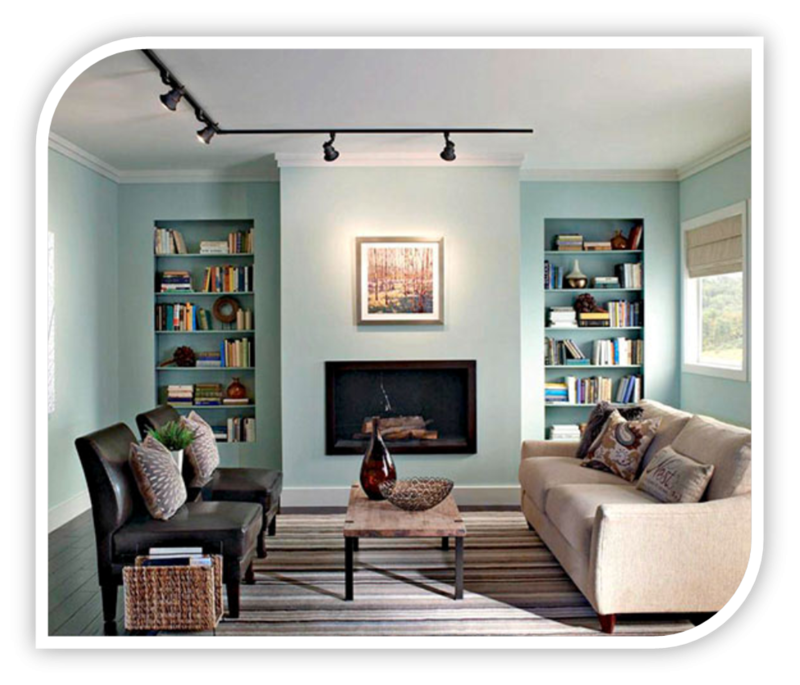 Fitted with enough light fixtures, a track lighting system can also serve as a room’s overall illumination system. Track lighting is flexible, allowing you to change the location and direction of the individual fixtures to suit any room arrangement. 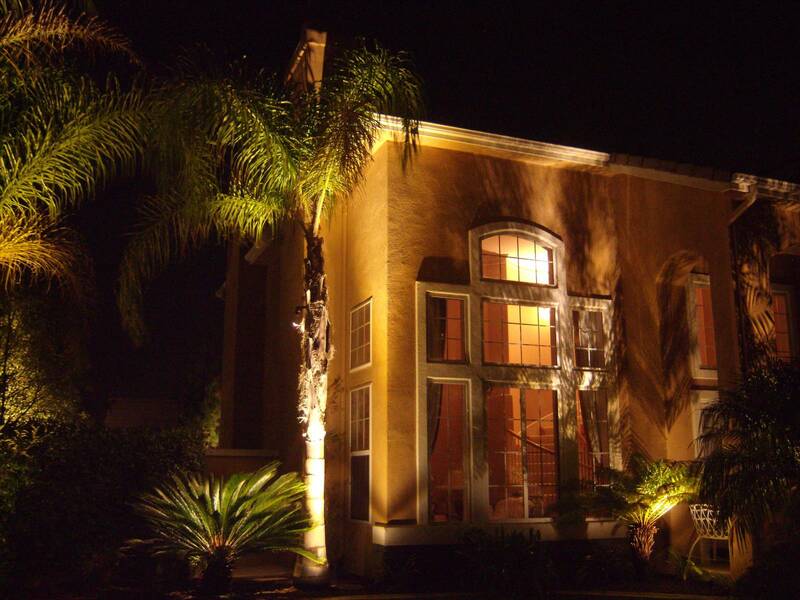 The lines of your lightingfixtures can provide sculpture as well as illumination. 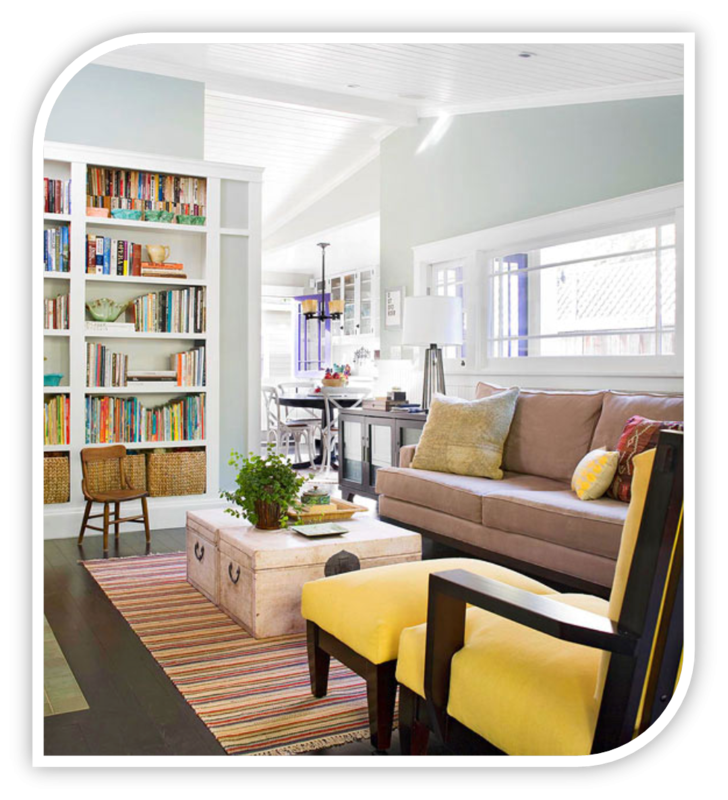 Use small-scale track beams to put the spotlight on bookshelves, artwork, and display items. Choose a light bulb that will render colours more accurately than ordinary incandescent bulbs and lend an extra sparkle to fine-wood veneers and gilded picture frames. 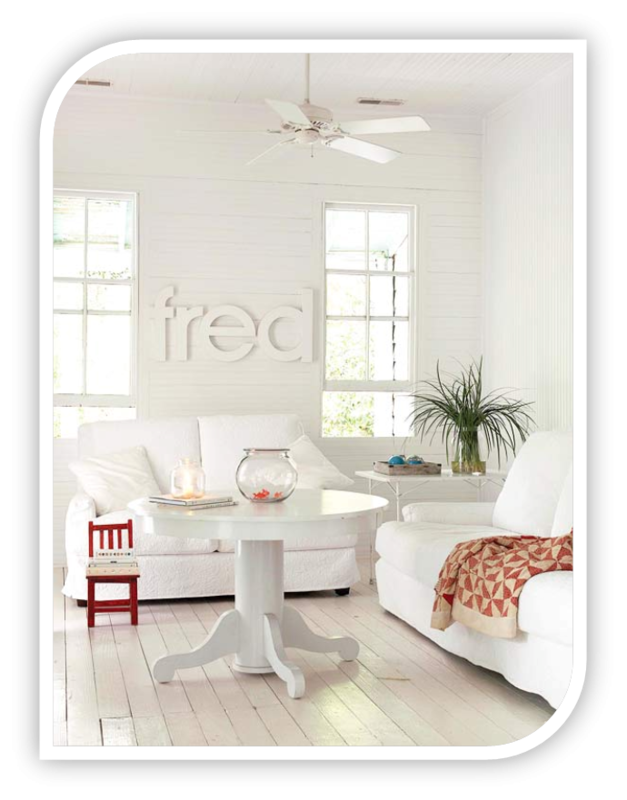 Pure white paint reflects significantly more light than does even a slight tint of off-white and glossy surfaces reflect more than other textures. 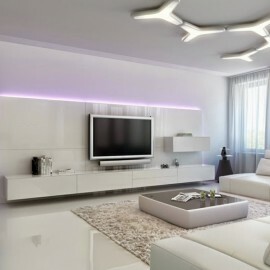 This living room’s open layout and glossy white ceiling make the most of its recessed lighting. 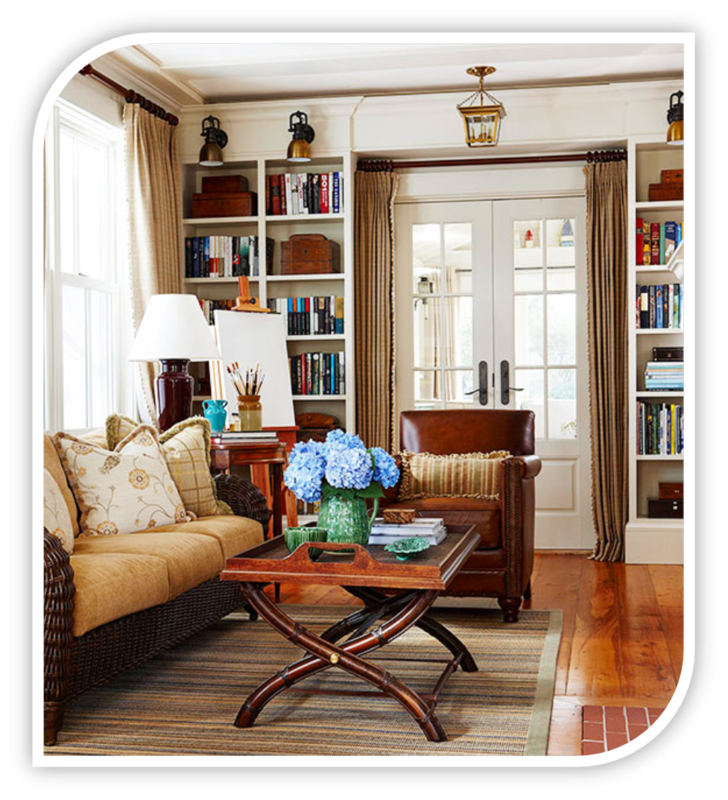 With its large bank of windows and white woodwork, ceiling, and book cases, this room requires little in the way of supplementary illumination. Accent lighting from sconces, one over each bank of built-in shelving plus a small lantern over the doorway, subtly illuminate the space. The sconces are mounted high on the wall, spilling light over display pieces that fill the shelves and add to the room’s visual interest. In many ways, the oldest lighting fixture the window is still the best. A window brings lots of broad-spectrum daylight into a room. A window’s shape, trim work, muntins, and moldings add interest to the wall, and offer a view that makes the room seem as big as the outdoors. 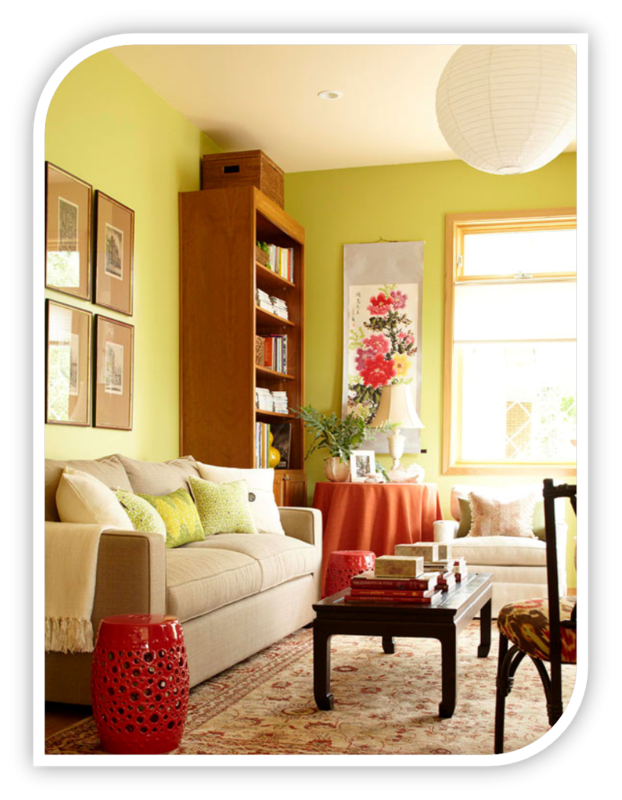 South-facing windows offer passive solar heat gains that can keep a living room warm and welcoming in cold climes. 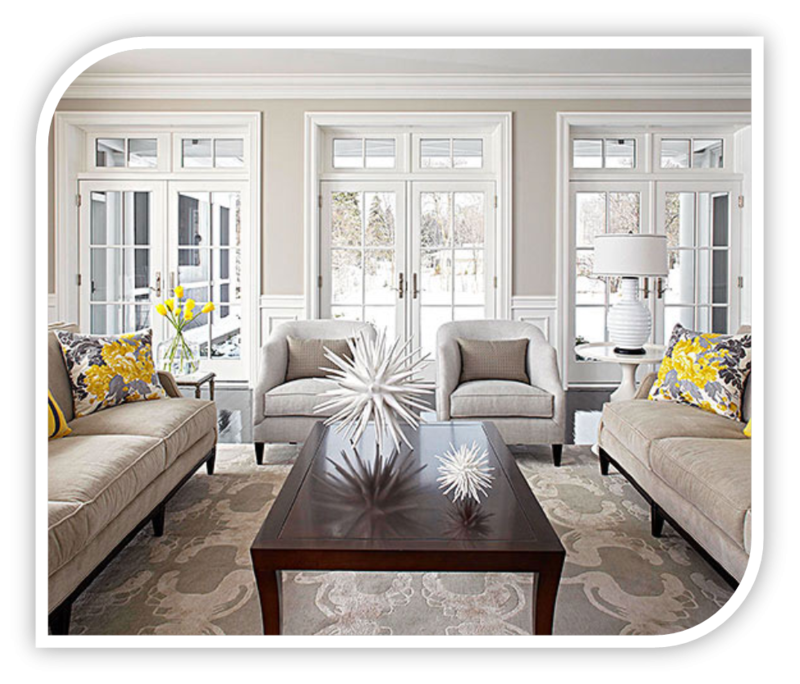 If you’re considering replacement windows, think big: Group a variety of window styles to add architectural interest to a room while allowing plenty of wall space on which to hang artwork. 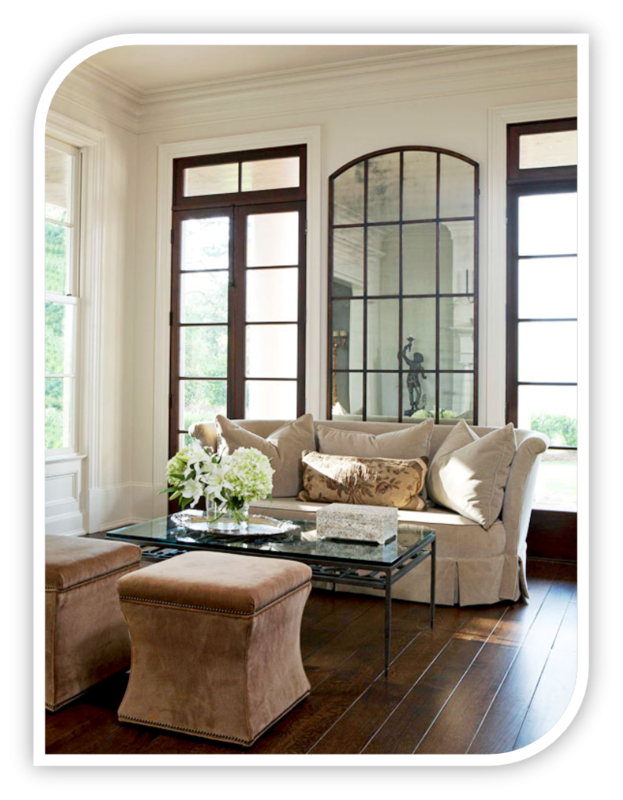 A large, window like mirror magnifies light and brings antique appeal to this neutral living room. 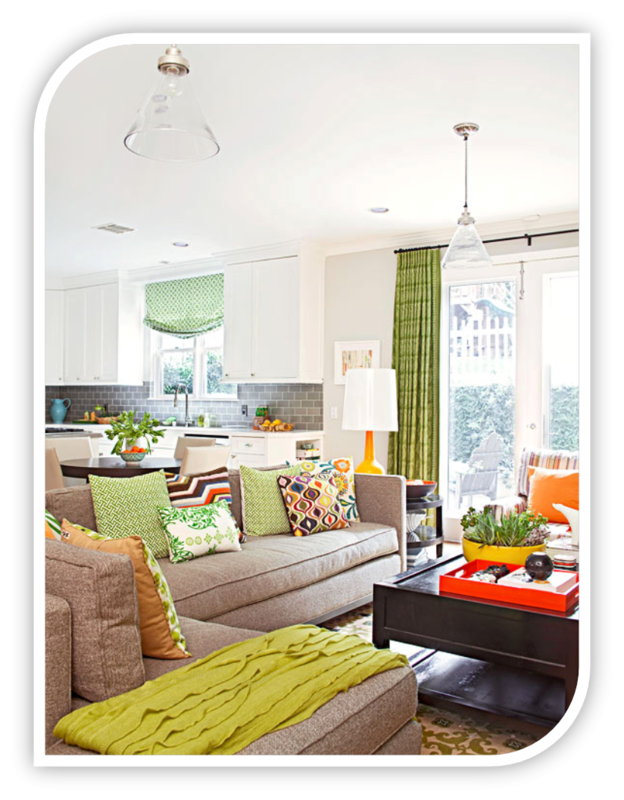 Light walls and plentiful natural light minimize the need for lamps and over head lighting. Pendant fixtures — in combination with recessed lighting– bring plentiful light and character to this family-style living room.Often used in high-ceilinged rooms such as libraries and great-rooms, pendant lights bring the source of illumination closer to where it’s needed — and provide visual interest overhead. Globe-shape paper lanterns are inexpensive and unobtrusive, and they cast a soft, even, omnidirectional light that’s both pleasing and effective. Such lamps are available in a wide variety of sizes and can use either standard incandescent or compact florescent bulbs. 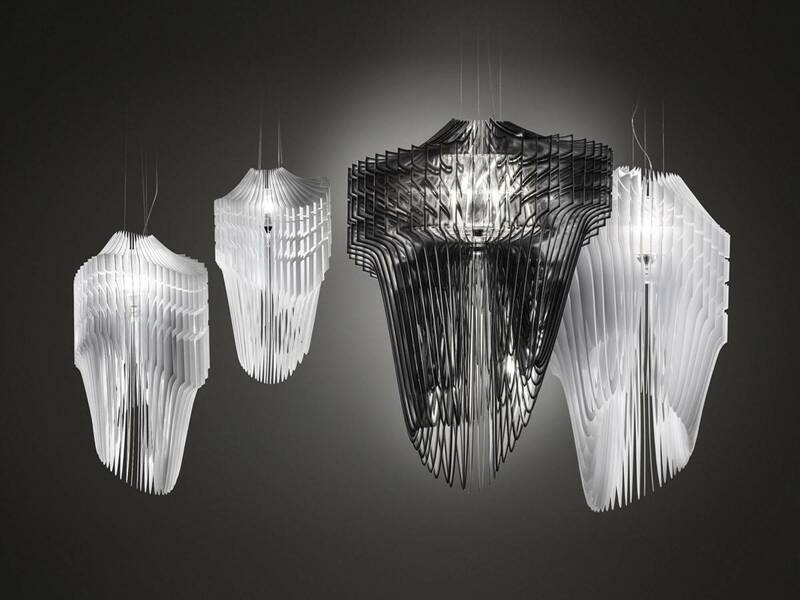 Hung either individually or in groups from a ceiling, these lighting fixtures provide a mobile-like effect that’s equally attractive whether the bulbs are on or off. While often used in contemporary interiors, the minimalist lanterns work just as well in updated traditional interiors such as this one.